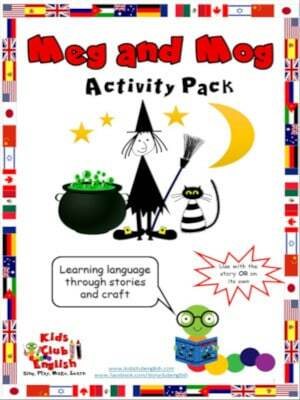 The Meg and Mog Activity Pack contains card games and crafts to complement the original Meg and Mog story by Helen Nicoll and Jan Pienkowski. These fun, interactive activities help children learn and revise food, clothes, animals and halloween vocabulary while developing fine motor skills, literacy skills, social skills and useful language for the classroom. Find flashcards, mini-cards, matching cards, bingo games and craft, find and stick cauldron craft, numbers jigsaws and stick puppets. Meg and Mog Story Resource Page. 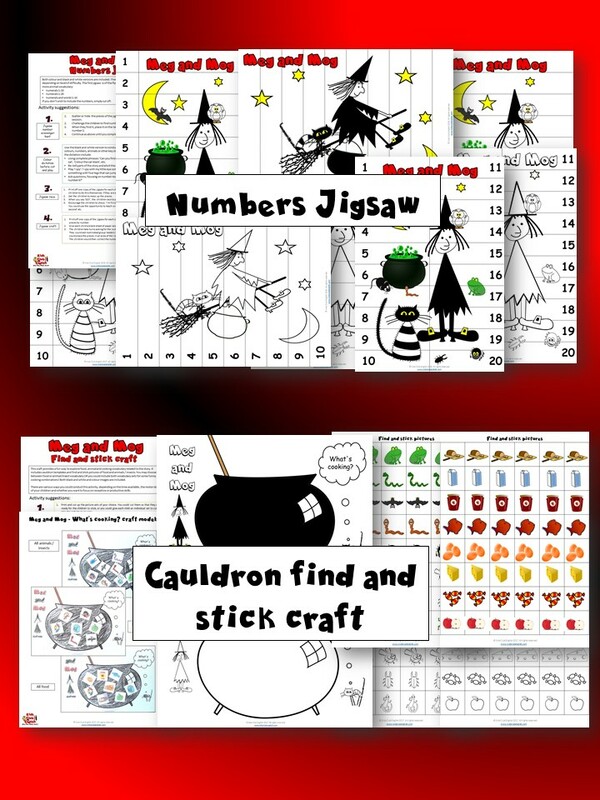 * Numbers jigsaws – Choose one of the four options in either a game or craft activity to make an attractive Meg and Mog jigsaw while practising numbers, sequencing and animal language at the same time. 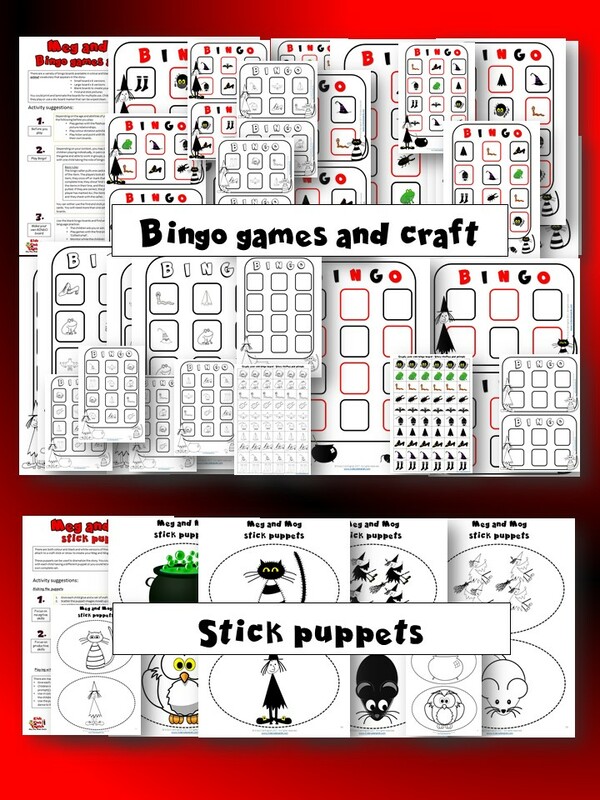 * Bingo games and craft – Print and laminate these bingo card sets for multiple use and/or use the provided templates for students to create their own. * Cauldron find and stick craft – Follow the activity suggestions for interactive ways in which kids can complete this cut and paste activity. Choose to support learning of animals, food or both. * Stick puppets – Using these templates, children create stick puppets that they can use in a variety of story retelling activities and games. The above images demonstrate what is provided in this pack. Download the preview for a closer look at the pack contents: Download Preview The entire pack contains 196 pages of information and resource templates! 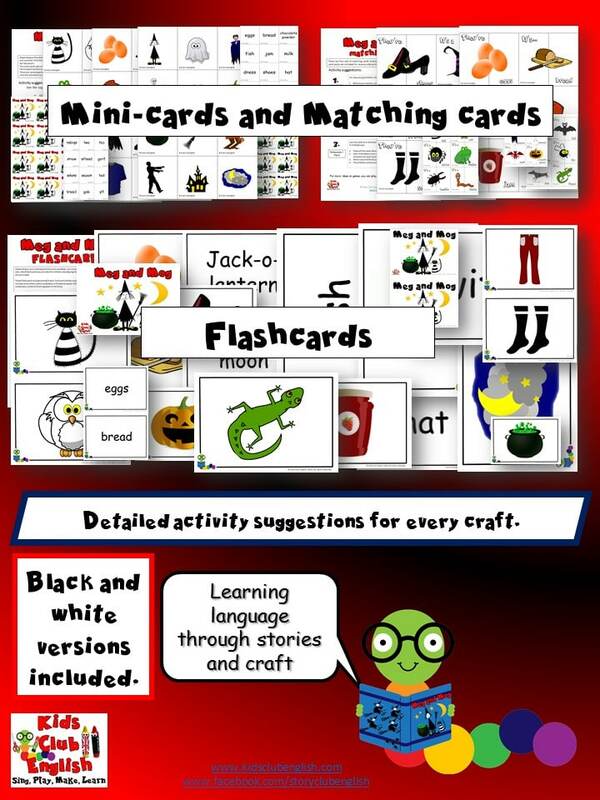 See the preview for the SUGGESTED LANGUAGE FOCUS and the complete list of vocabulary items included in the card sets. Please note the Meg and Mog story is not provided with this resource but is available in major book stores. You can also get our FREE Simplified Powerpoint Story and access collections of storytelling videos on our Meg and Mog Story Resource Page.